A method to help you sleep if you have had your sleep pattern disrupted. 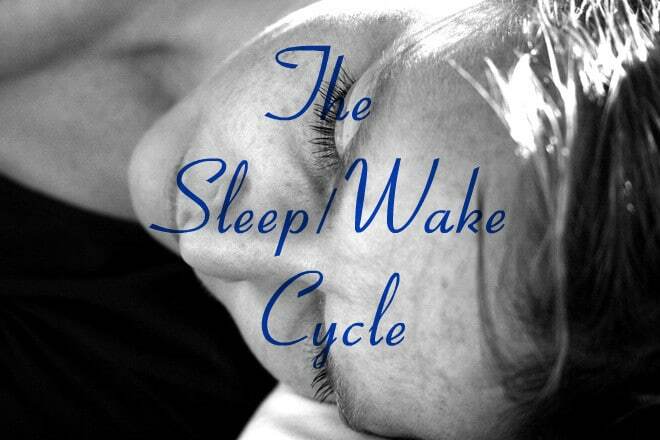 This method can be most helpful to those who have had their sleep pattern disrupted for some reason. For example, this could be due to having experienced long term physical illness or injury, previous use of some medications or drugs and alcohol. When you recover from whatever disrupted your sleep pattern it can be as if your mind and body are no longer in sync. Your mind wants to sleep when your body tells you it is awake and vice versa. You have to "re-educate" your mind and body to bring things back into step. Working through the following steps will help you to create a plan for adjusting your sleep-wake cycle. Once you have your plan you can start to put it into action. Initially, it will be hard to do but you will notice the difference fairly quickly, possibly after a couple of weeks. After that time, you no longer need to adhere rigidly to your plan, but do bear in mind how your sleep-wake cycle became disrupted in the past. The first thing to do is set times for yourself when you will go to bed and when you will get up. Be realistic about how this fits in with your daytime activity and how much sleep you need. For the sake of our example let us say 11.00pm is bedtime and 7.00am is time to get up. Secondly set a time in the early to mid-afternoon, say 3.00pm. Think of this section of the day, from 7.00am to 3.00pm as your "increased activity" period. From 3.00pm until half an hour before bedtime is known as your "decreased activity" period, and lastly, from 10.30pm to 11.00pm is "preparing for bed time". When you have set your times you need to stick rigidly to the times you have set. At 11.00pm you must go to bed, whether you are tired or not, and stay there until 7.00am, whether you sleep or not. At 7.00am you must get out of bed, whether you are tired or not. Initially, this will be difficult to do. It is important that you stay in bed until it is time to get up. Remember that your mind and body are in the habit of not sleeping properly, of you maybe getting up in the night to have a cup of tea or to use the toilet or have a cigarette if you smoke. You are going to teach it that, from now on, things are going to be different! There is not a great deal that can be done during the night apart from staying in bed. However, during the day we have a lot of control over the things that we do, and therefore opportunities to adjust our sleep-wake cycle. In the increased activity period we are teaching our mind and body that this is the time when you want to be wide awake and full of energy. You will need to plan your day accordingly. It doesn't matter what things you do, but the pattern you develop as you do them during the course of the day. Exercise. Go for a run or walk. Choose an outdoor activity so that you get some fresh air. Do some vigorous housework or wash the car. Mental Exercise. Time to pay the bills! Do a cryptic crossword or read a text book. Make those difficult phone calls. Eating. You need to have your main meal of the day at lunchtime during this period. Snacks and breakfast during the morning are allowed - it doesn't matter how much, but stay aware of the quantity. Drinks. If you have drinks which contain caffeine it is best to limit these to the early part of the morning and then change to decaffeinated drinks for the rest of the day. Baths and Showers. If you are the type of person where having a bath or shower wakes you up then you can plan this in for this part of your day. From 3.00pm until preparing for bed time, you start winding everything down. Once again, it doesn't really matter what you do, as long as it is less than your increased activity period. Exercise. If you walked two miles in the increased activity period then only do half a mile here. Make sure its before evening though - that's the time you want to be sitting down with your feet up! Housework can be reduced to light dusting or none at all! Whatever you do, make sure it is less than the thing you did in your increased activity period. Mental Exercise. Forget the bills and anything else that needs a lot of thinking. Change from a cryptic crossword to easy clues. Watch the television or get out that easy to read novel. Phone a few friends who you can have a light social conversation with. Eating. It doesn't matter what you eat as long as it is less than you had at lunchtime. Reduce snacks accordingly. Drinks. Once again, drink less than you did during your increased activity period. Definitely no caffeine! Try to keep drinks to a minimum during the late evening as you don't want to be getting up during the night. Baths and Showers. If you are the type of person where having a bath or shower relaxes you then you can plan this in for late evening. You really don't want to be doing anything during this half hour apart from getting ready to get into bed. Brush your teeth, use the toilet and change into your bedclothes or dressing gown. If you are still hungry you are down to half a biscuit, or a sip of water if you are thirsty. Then, go to bed at the time you have set. Keep in mind, that it is the pattern of things that you do, rather than what you actually do. When you start it is a good idea to write down all the things you currently do during the day, and then try to structure them throughout the day into your increased and decreased activity periods. After a week or so, depending on how much you have been able to work on it, you will notice a difference. In the mornings, when you wake up, your body and mind will be expecting increased activity and you will be awake and ready for it. As the day goes on you will start to feel naturally tired until it is time for you to go to bed. Once in bed, your mind and body will be expecting to sleep and that is what will happen!